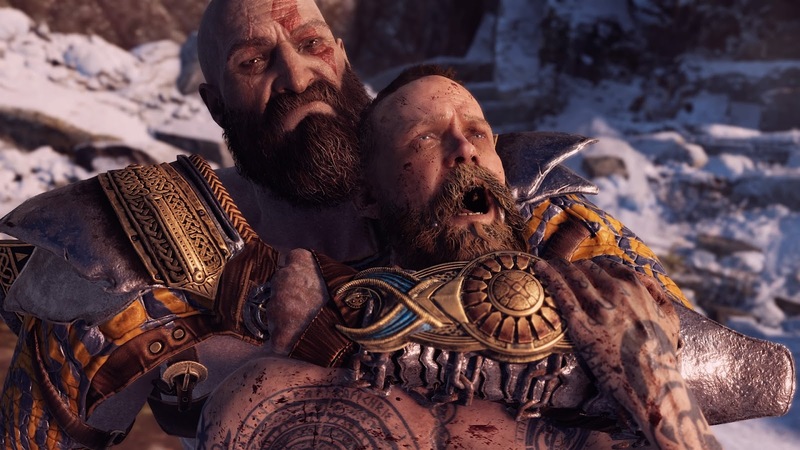 Dr Jengo's World: My Thoughts: God of War & Plat #16! And... Done! What a game! 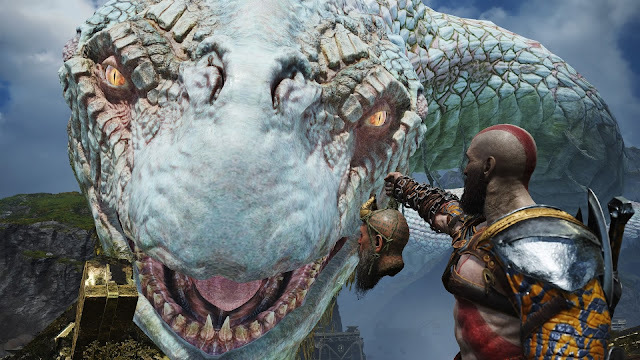 It's still early but God of War is a huge and definite contender for 2018's GOTY! Here's my thoughts on the game (Spoilers Warning!) which also happens to be my Platinum Trophy #16! I have said it several times but I'll say it again.. 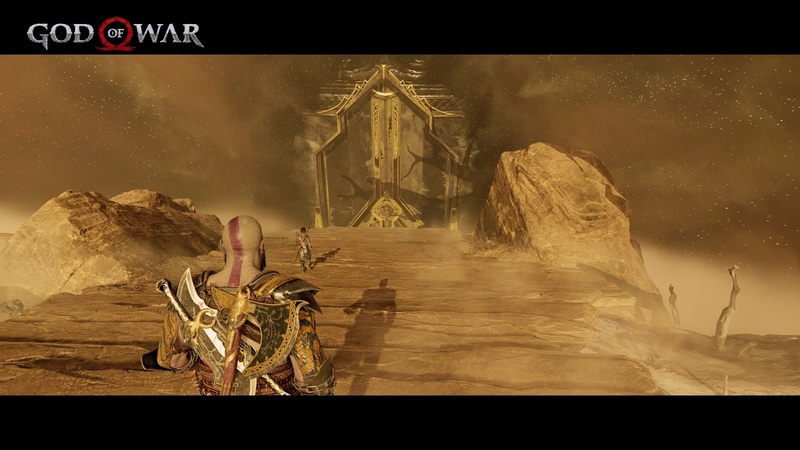 I was pretty much done with God of War after GOW3. 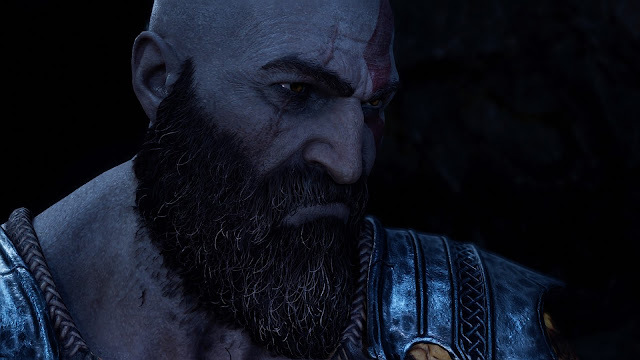 Kratos was a badass character but the story just wasn't pulling me anymore. 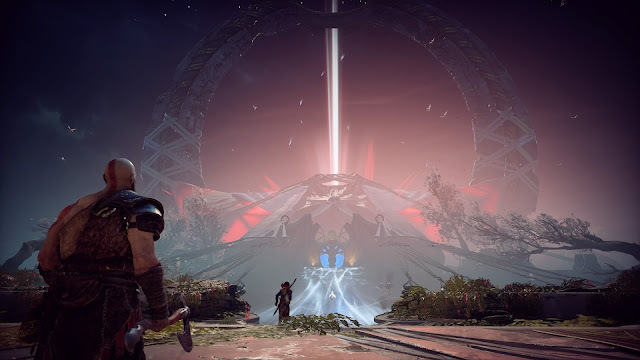 Yet to even touch God of War Ascension, which released after that,, but for some reason I was very excited once again for this new God of War game right from the start. Ever since that surprise E3 announcement, I have been looking forward to this and 'boy! ', it did not disappoint me one bit! 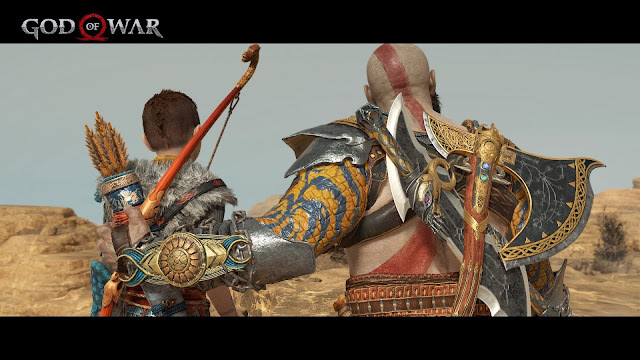 I loved how this game was so different from previous God of War games but yet still felt so familiar. 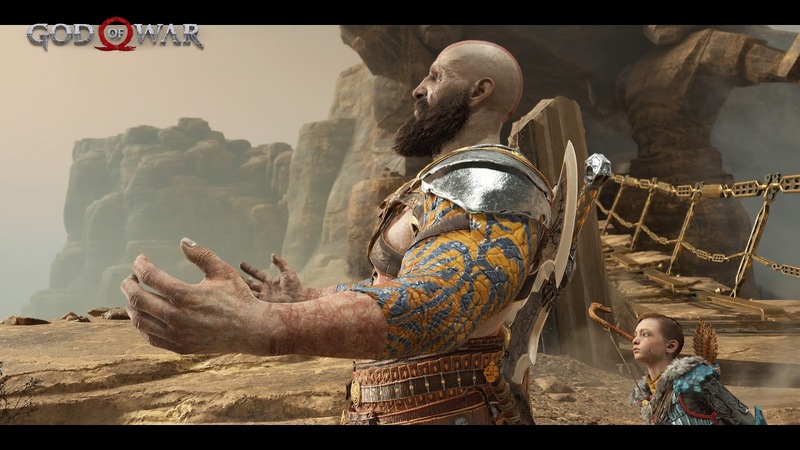 Even Kratos has changed quite a bit. He's older and I could say, mellowed down a little but that rage is still there. 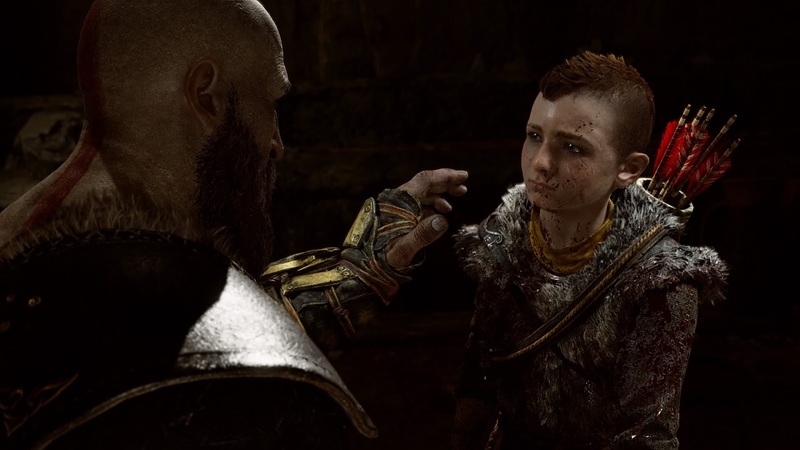 Kratos' interactions with his son, Atreus, better known as 'Boy', gave us a strong indication of how much he has changed. There were several nice moments between them, including some unintentional hilarious ones as well. 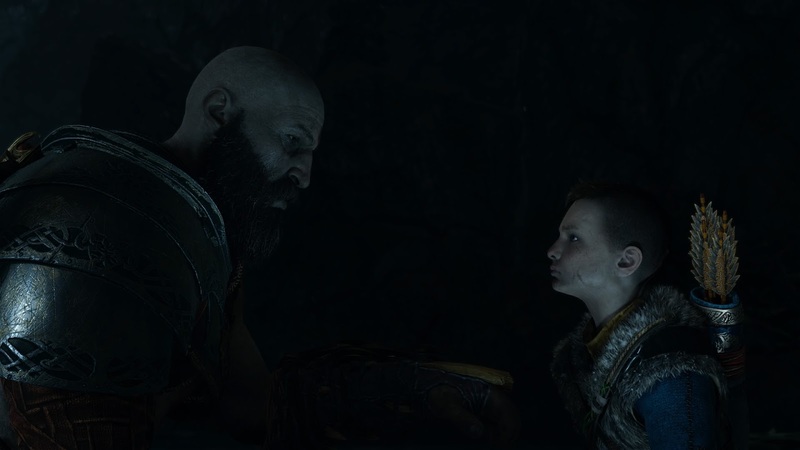 Atreus wasn't the only companion in the journey, there was also Mimir, who served as an excellent storyteller. I have been a bit interested in Norse Mythology recently because of the Vikings TV show, so was very intrigued that this game will be exploring that mythology. 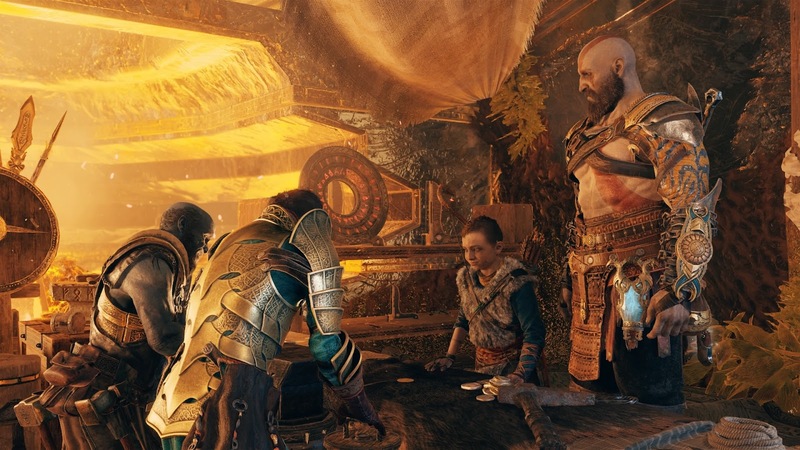 The conversations between the three, was an excellent way to explain the lore. The world was stunningly beautiful! I could just sit and look around at every new location. Most of the supporting characters are also memorable. 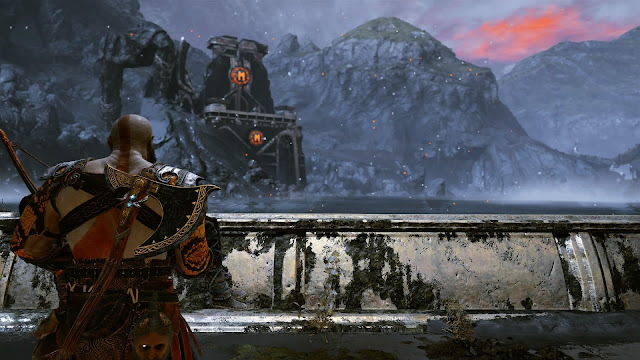 The dwarves, Brok and Sindri. 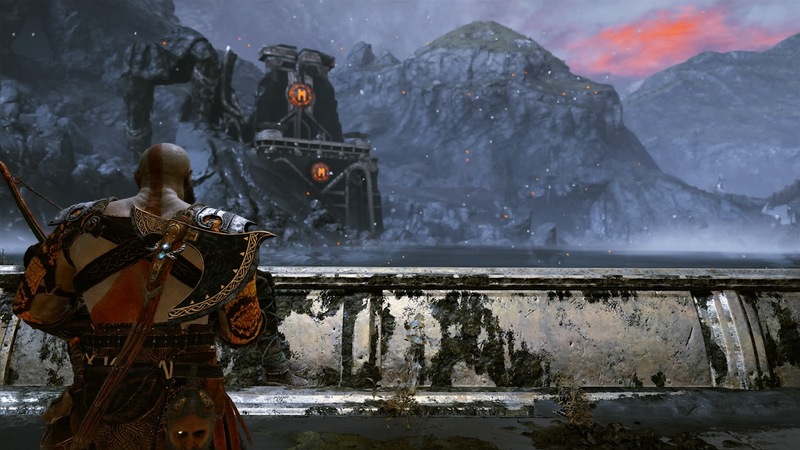 Freya and her voice actor was just perfect. I almost feel annoyed with Freya's turning point now. Combat was just excellent and very satisfying.. totally enjoyed the combat throughout. I felt a lot more in control, compared to the button-mashing I used to do, in the previous games. The Leviathan Axe was an amazingly fun weapon. I almost didn't miss the Blades at all..
My God! What a surprise! 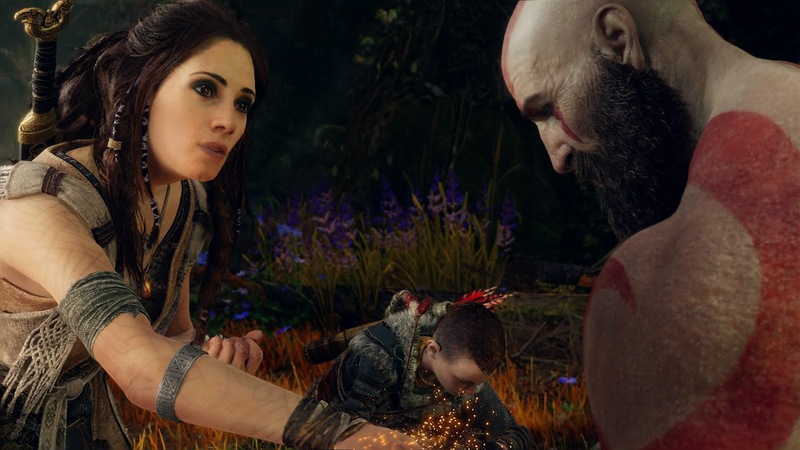 There were several hidden surprises throughout the game, which I certainly appreciated. 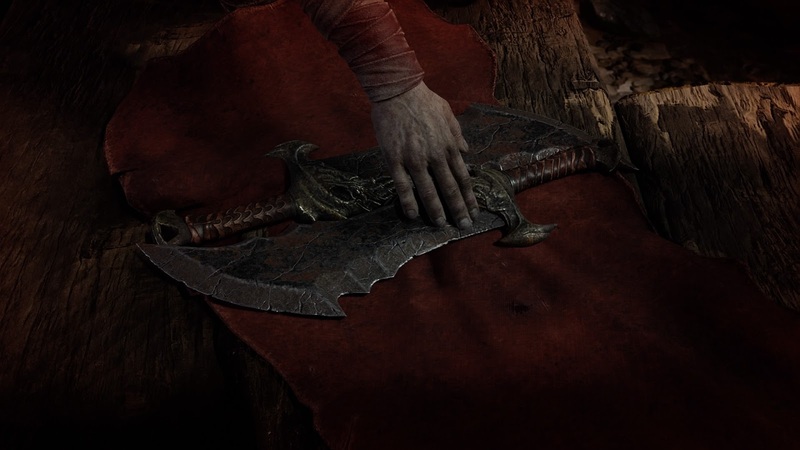 One of the huge ones was of course, the return of the Blades. I had absolutely no clue about this, so it was such an incredible moment when it happened. Atreus, also plays a huge part in the game's combat, with his ranged attacks, mapped to a button. He has saved me many times from certain death, what an asset the Boy is. The RPG-style elements were cool too. Not a very in-depth system, but it definitely turned up some variations in the style. I spent a lot of time, choosing the ideal runic attacks, gathering resources for upgrading weapons & armour. 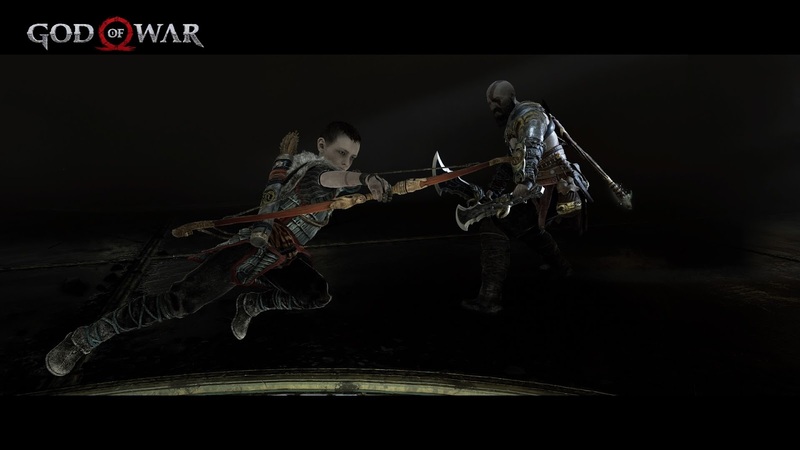 The brutal kill animations were typical of God of War but I felt it got a bit repetitive, by the end. 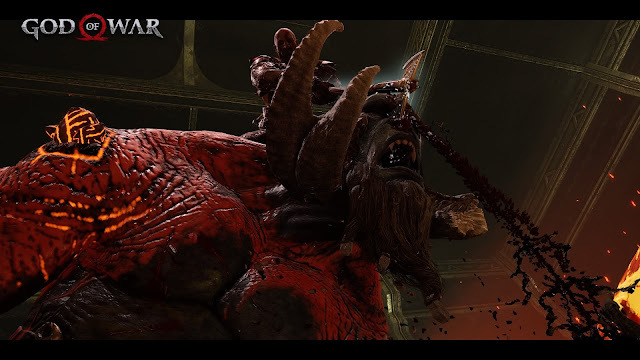 Would have liked some variations for the same type of enemies. After I completed the story, the end-game meta was very balanced right till the end. I never felt too over-powered at any point. There were always tougher challenges ahead with a need to upgrade your equipment. 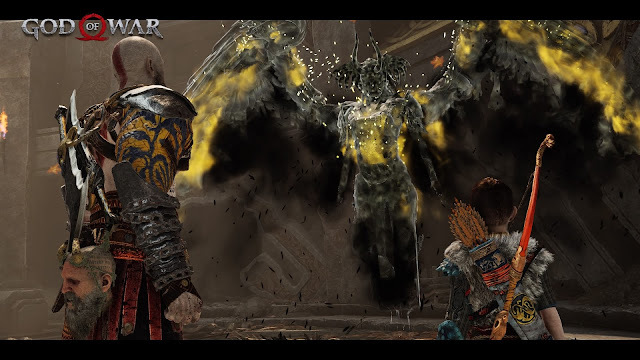 Whether it was the Trials of Muspelheim, the Niflheim mazes or the Valkyries, there was always a challenge that needed more upgrading and this kept the post-story experience far from mundane. A lot of games don't do that. There's been so many great open-world games that just bored me to death with their side-quests and collectibles long after the story is over. Sure, in this game, there was a bit of back-tracking to areas I have already completed, but for the most part of it, whatever I missed were in new areas. 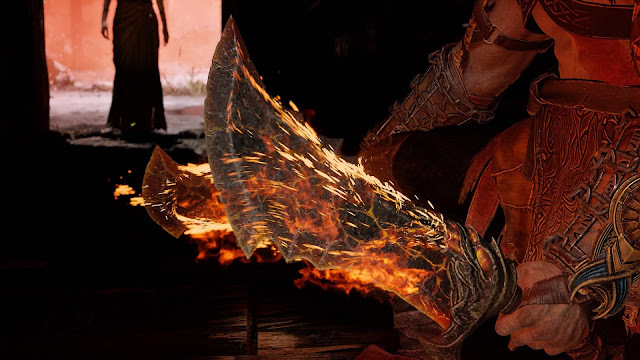 Grinding was kept to a minimal and with the promise of upgraded weapons, it was purposeful. Oh and I loved the puzzles in this game. They were very smart. Nothing really difficult but there were some tricky ones. Most, if not all, could be solved by just exploring the area and a bit of thinking. Didn't have to use Youtube a single time for the puzzles. Even if I did miss a few initially, when I came back and figured it out.. it was a face-palm moment. Simple, smart and tricky.. Really enjoyed them! On a downside, the game didn't come up with as many Boss fights as I would have liked but they were memorable, particularly the very first fight with Baldur.. but I felt it didn't live up to the epic standards of previous GOW games. 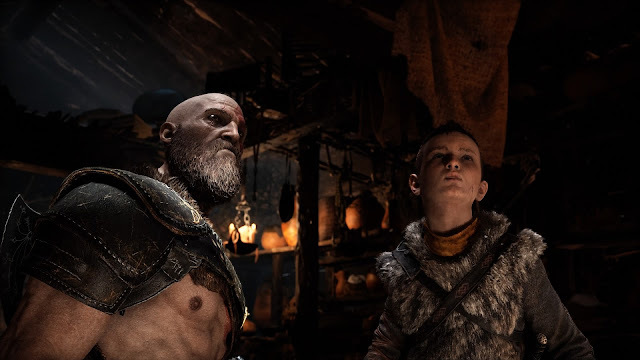 The story ending was almost perfect, that huge reveal of Atreus actually being Loki.. Woah, Mind-Blown! Then there's the alternate ending with Thor showing up in front of their house. 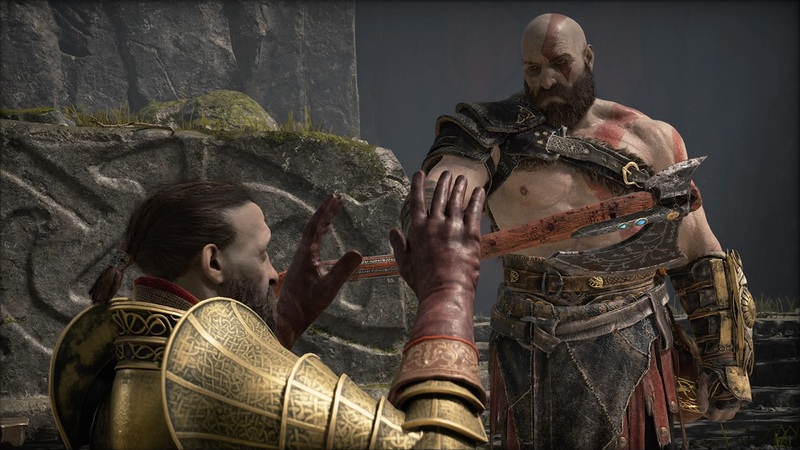 I'm usually done with a game after I have completed it 100% but with God of War, I wanted more. Actually quite disappointed that there's no DLC. All that locked realms, all that teases on the other Norse gods. There's so much of potential for the next God of War sequels. Hope we don't have to wait too long for the next one! I'm definitely going to play this again, completed the game on Normal so hoping to do it on the tougher difficulties. 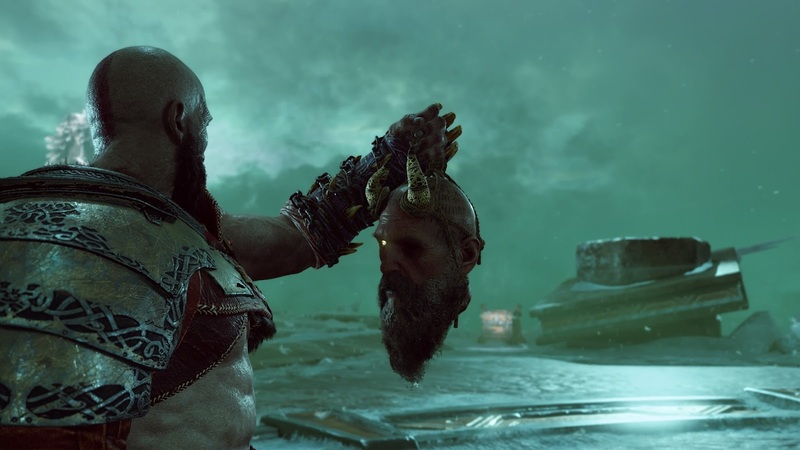 God of War has not only become of my favourite games of all time but the series as a whole has got my attention more than it has ever done. The fact that they did not reboot it but continued on from God of War 3 has given so much depth to Kratos. With the reveal of Loki and the prophecy of Kratos dying, I get the feeling that something tragic is going to happen to one of them. In fact, the entire game, I was under the impression that either Kratos or Atreus would die.